WOW! 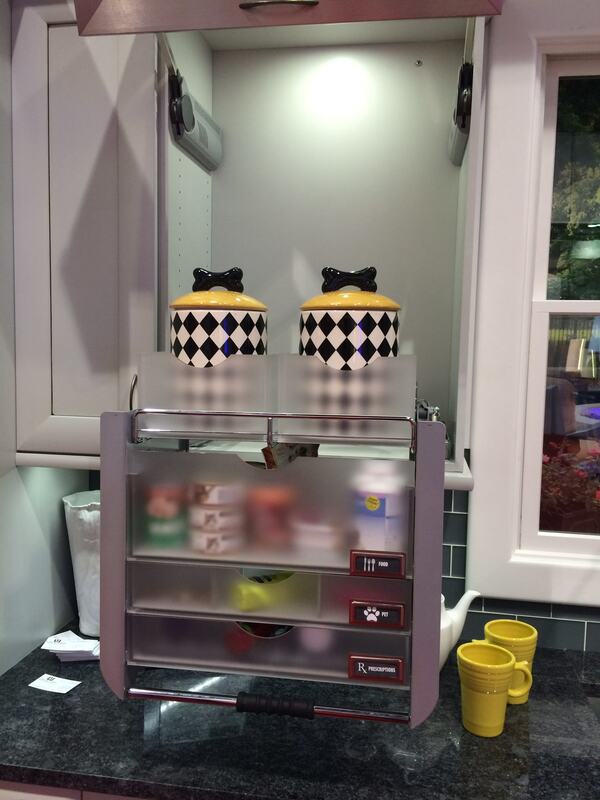 How hard it is to narrow down my list of amazing new products from the Kitchen and Bath International Show in Las Vegas last month. I recently wrote an article for The Daily Basics on this topic, and wanted to share some of my observations with my readers! After some reflecting, I’ve decided to mention some trends that I actually observed, represented by these products that are unique, functional, and, of course, high style. One of the biggest trends I saw, as people are wanting more outside than a simple patio. Outdoor appliances such as pizza ovens (pictured above), new outdoor materials, fire pits, outdoor kitchens and smokers all received accolades galore. “Homeowners continue to see their outdoor living space as an extension of the home. An example of this is the rise of the open fire features, which nearly half of all millennials have in their outdoor space, according to new data unveiled at the show by Better Homes & Gardens. We saw countless freestanding fire pits and built-in fireplaces at the show. One favorite: the Wave Fire Pit from the Outdoor Great Room Company, with an interesting undulating design. I also happen to know by first-hand experience that Baby Boomers are in love with outdoor living, as are Gen X’ers. This is a trend for all ages that is not going away, but only gaining more and more product demand for allowing our down time to be as easy and carefree as possible. Wellborn Butcher Block Island Countertop with electrical lift range from 30-42 in. Accommodates all sizes, ages and needs. It’s so exciting for me to see the response to the needs of the 50+ and Boomer age groups. Even the “aging in place” and “universal design” words were used. I’m telling you, I could not contain my joy that these brilliant manufacturers were using this terminology. It was the buzz everywhere! TOTO Keane Collection, shower and bath. TOTO USA’s Keane Collection was out-of-the-box beautiful, attracting designers and attendees of all ages. My philosophy for many years has been that safe, functional design can be beautiful and up to date as well! 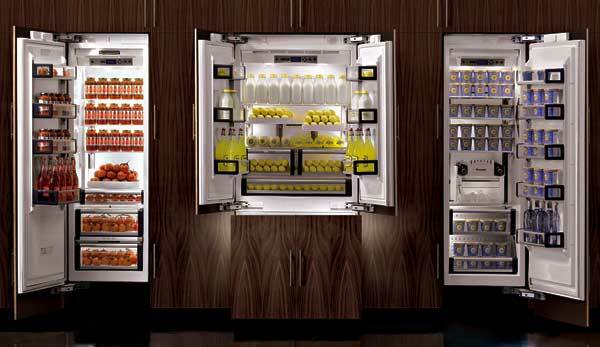 Individual components for appliances was also “the buzz” around KBIS. 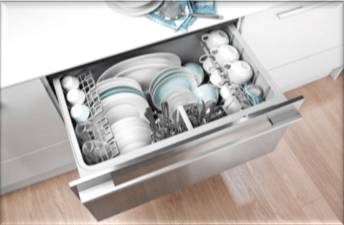 For instance, Thermador’s Freedom Collection, was another must see to view the limitless options for breaking up our appliances. The units literally go where we are, conforms to what makes the most common sense for our lifestyles. 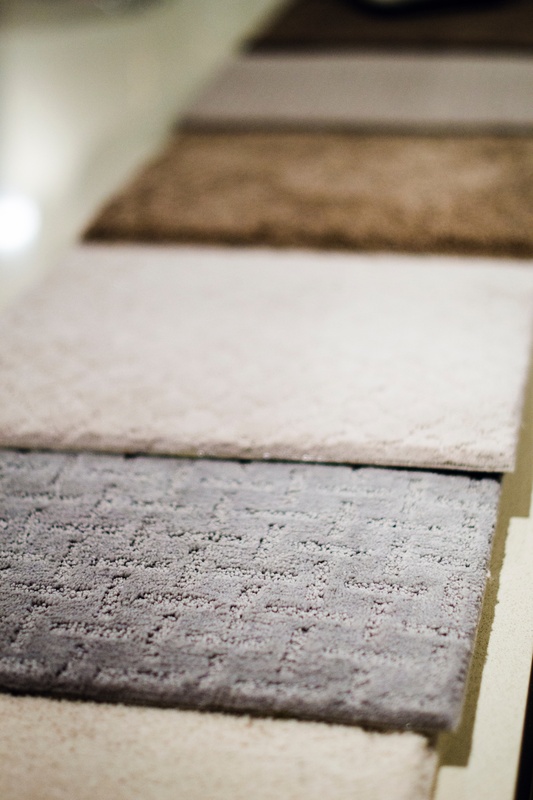 Beauty and function can co-exist with Karastan carpet. Everyone is after products that reduce the time and concern for their upkeep on maintaining their home products. 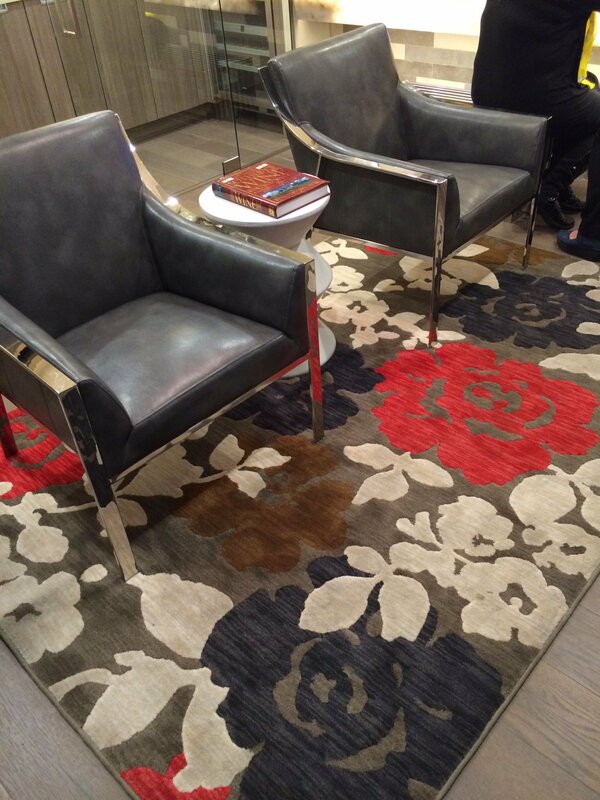 Two that were again, well received were Mohawks carpeting, SmartStrand® Forever Clean. The demonstration of soaking their carpet in red wine and seeing no absorption truly had everyone totally impressed. Wilsonart HD laminates have a state-of-the-art durable finish, which speaks to the trend that easy maintenance is as equally important as style and price. 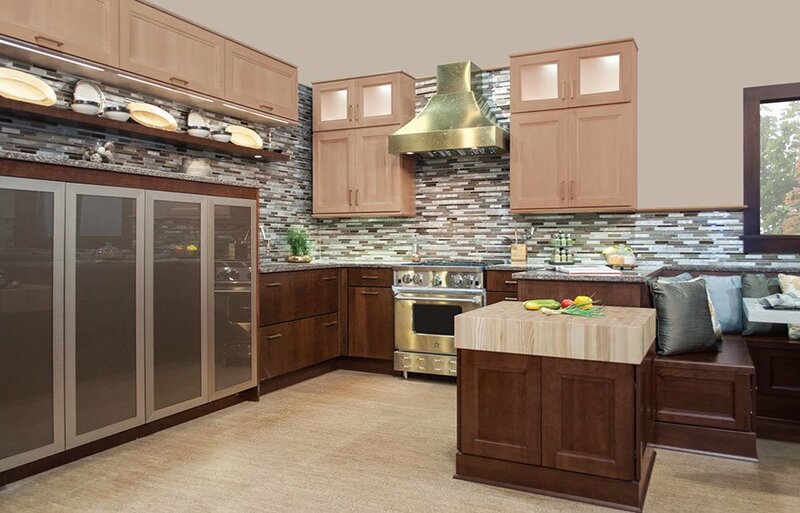 Wilsonart laminates are durable, affordable and attractive. 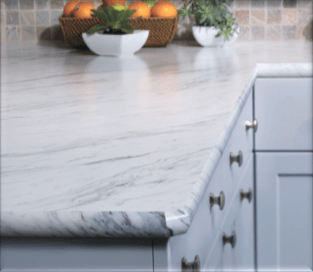 Wilsonart HD offers the look of granite at a fraction of the price. 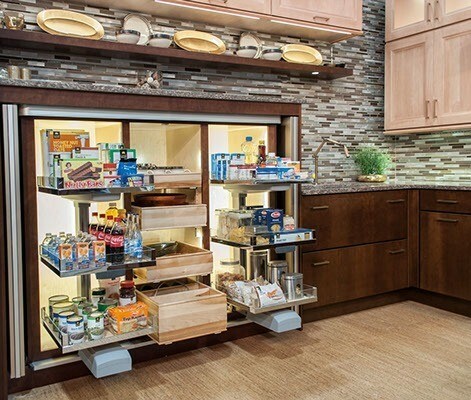 Ergonomic drawer and cabinet pull out and pull down units were the “talk of the town.” For difficult-to-reach areas in our cabinetry, the pull outs and pull down units are definitely here to stay. In the future there will be more ergonomic products to come in the mainstream of how we live in our homes today. Pictured below is the Woodmode’s Pet Parlor. 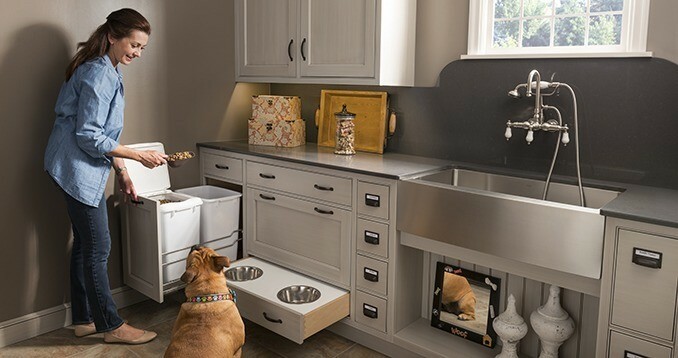 This item actually stopped traffic at #KBIS, and since Americans spend more than $2 billion a year on their pets, it’s no surprise why people loved this! 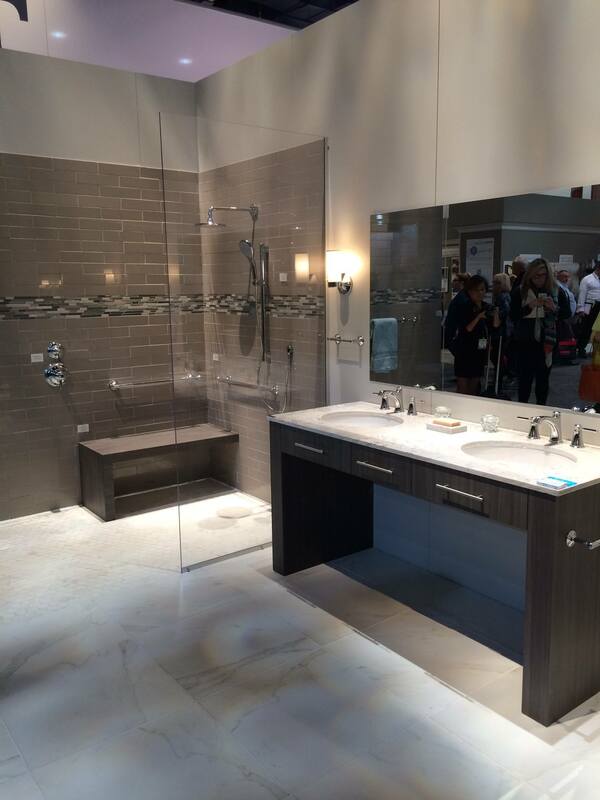 SO, TO WRAP THIS UP… It’s hard to imagine how these manufacturers and product designers will continue to push that envelope for next year at this huge kitchen and bath show. The thing I do know is that I’m excited to see what new, innovative products will be directed towards our individual lifestyles, and what will make our living spaces all we need for us now, and in the future. 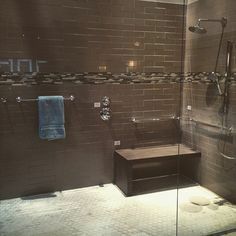 This entry was posted in Design and tagged #BlogTourVegas, #KBIS2015, #WoodMode, Aging In Place, Fisher and Paykel, hot design trends, Kalamazoo, Karastan, outdoor living, The Daily Basics, Thermador, TOTO, Universal Design, Walker Zanger, Wellborn, Wilsonart. Bookmark the permalink.